Are you still worrying about how to create animal infographics as you have no drawing skill at all? Try Edraw Infographic! Create Animal Infographics with Edraw Infographic - Powerful Infographic Maker which makes you hands free. Users are free from worry if you create animal infographics with Edraw Infographic since it has already premade almost all the things you need. Users just need to click their mouses and finish following simple steps. 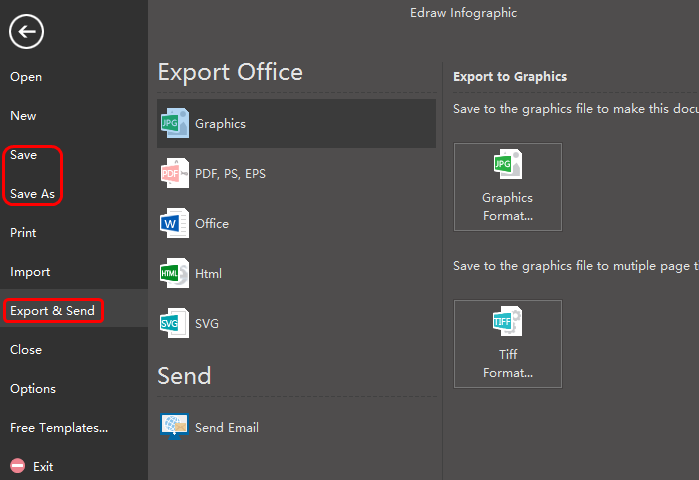 Launch Edraw Infographic, go to the File menu, click New > Infographics to open a blank infographic drawing page. Drag proper animal symbols from left libraries and drop on the drawing page. Click Text on the Home Page to type in the key words, then click any blank area on the page to finish typing. Click Save on File tab to save your animal infographics as the default .eddx format, or you can also select Export & Send under File to export the infographics to any formats you like, such as images, PPT, PDF, Word format .etc. 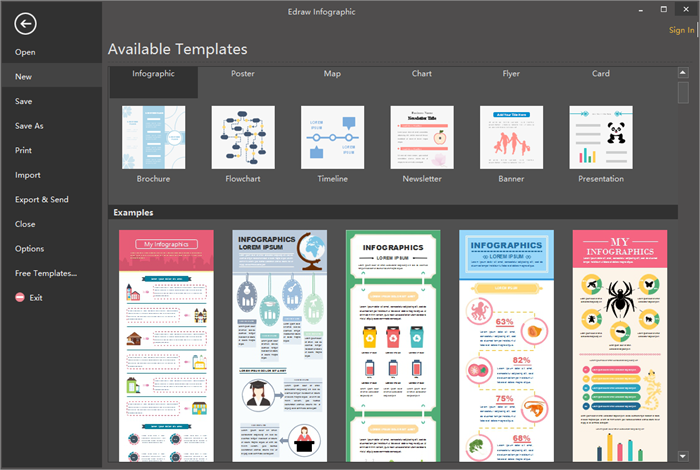 Edraw Infographic is a cross-platform infographics maker which is available for Windows, Mac OSX and Linux. Its following handy features makes it one of the most popular infographics maker among so many digram programs. A large amount of infographic elements are provided for users to drag and drop. There is no need to draw the symbols by yourselves and all the premade symbols are editable. It offers a great many of various infographic templates and examples. 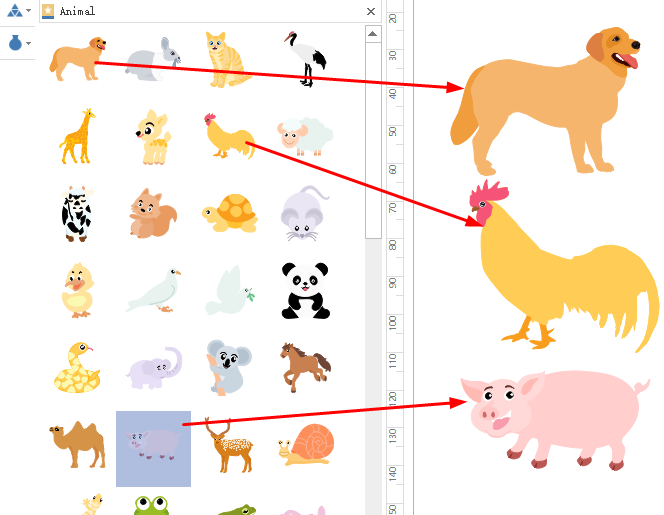 Users can create animal infographics based on the built-in templates which simplifies the drawing process a lot. Inserting hyperlinks, attachments and notes to infographics is supported, which makes infographics more resourceful and attractive. Edraw Infographic can not only create animal infographics, it can also create medical infographics, music inforgraphics, transportation infographics, tourism infographics and so on.